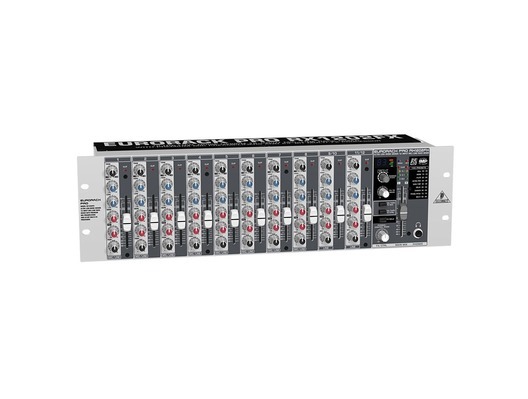 Here we have the Behringer RX1202FX Eurorack Pro Mixer in B-Stock. The B-Stock versions would have been on display at a training evening or trade exhibition only and will come boxed 'as new' with all accessories and a 1-year warranty. 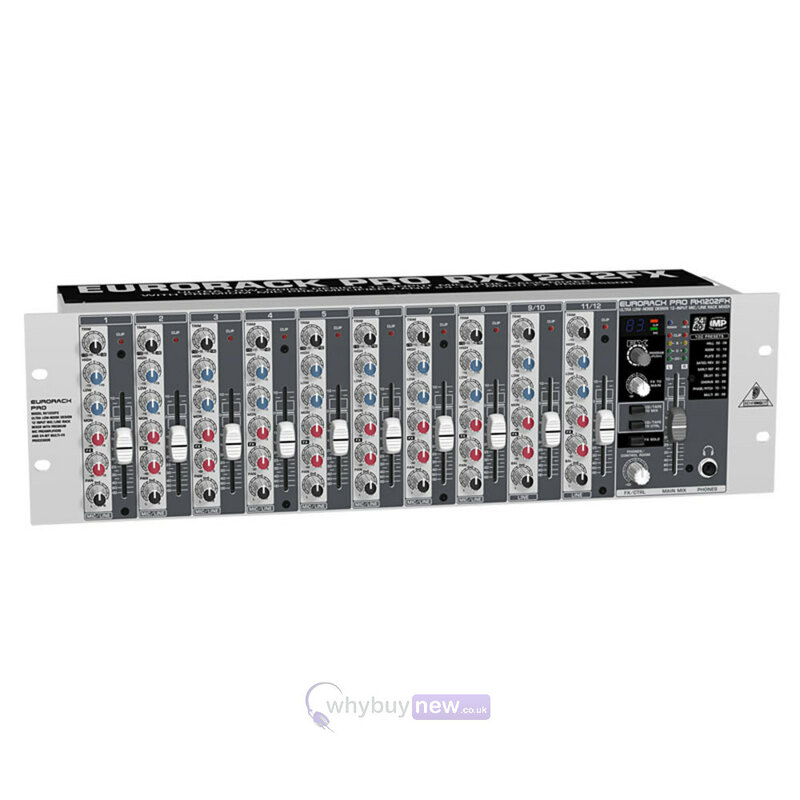 Buy this amazing Behringer RX1202FX Eurorack Pro Mixer with confidence with 100% satisfaction guaranteed or your money back. The rack-mountable, 12-Input RX1202FX mixer enables you to effortlessly achieve premium-quality sound, thanks to 8 onboard studio-grade XENYX Mic Preamps, 2 stereo Line Inputs and ultra-musical "British" channel EQs. Add to this our 24-Bit Multi-FX processor with 100 awesome presets including studio-class reverbs, delays, pitch shifter and various multi-effects - and the RX1202FX becomes an incredibly-versatile mixer for your live performances. Ideally suited for musicians, houses of worship and a wide variety of business applications, the incredible RX1202FX is also perfect for sub-mixing keyboards, drums or multiple vocal mics - and is an absolute "must-have" for monitoring your multitrack recording projects! Our legendary, high headroom XENYX mic preamps have been praised by audio engineers all over the world. These state-of-the-art mic pres represent a major step in the evolution of audio technology - and they can easily hold their own, even when compared to the most expensive stand-alone mic preamps. XENYX preamps off er a staggering 130 dB of dynamic range, with a bandwidth that extends from below 10 Hz to well above 200 kHz. Armed with these outstanding mic preamps, the RX1202FX provides such transparent, crystal-clear performance you just might think someone upgraded your mics while you weren't looking. The British consoles of the 1960s and '70s changed the sound of rock and roll - without them the British Invasion might not have happened. Those legendary mixing desks soon became the envy of engineers and producers all over the world. The channel EQ on our RX1202FX mixer is based on that very same circuitry, allowing you to imbue signals with incredible warmth and detailed musical character. Even when applied generously, these equalizers exhibit sweet forgiveness and superb audio quality. Every RX1202FX mixer features our 24-Bit Multi-FX processor, with 100 awesome presets including reverb, chorus, flanger, delay, pitch shifter and various multi-effects. Complete with highly-accurate Signal and Clip LEDs, these effects are instantly available at your fingertips via the Program selector control. Smooth 60 mm faders and intuitive rotary dials make it quick and simple to create a great mix. The Main Mix fader adjusts the volume of the Main Output signal, while the dual 4-segment LED ladder display gives a visual confirmation of the signal level. The Phones jack features a dedicated Phones/Control Room dial for adjusting the volume. Push CD/Tape To Mix to add backing tracks from an mp3 or CD player, or the CD/Tape To Ctrl to isolate a click or scratch track in the headphones during recording.